Scavino - who manages several of the president's and White House's social media accounts, reported being blocked from responding to someone's question over the social media platform - asked Facebook "WHY ARE YOU STOPPING ME from replying to comments followers have left me - on my own Facebook Page!!??" 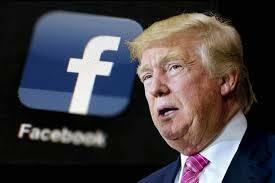 President Trump renewed his criticism of Silicon Valley tech giants on Tuesday, calling Facebook, Google and Twitter "on the side of the Radical Left Democrats." Since the 2016 election, left-leaning tech platforms have been caught censoring, mocking, or otherwise limiting the reach of conservatives. In a Monday Op-Ed for The Hill, Donald Trump Jr. writes: "From "shadowbans" on Facebook and Twitter, to demonetization of YouTube videos, to pulled ads for Republican candidates at the critical junctures of election campaigns, the list of violations against the online practices and speech of conservatives is long."